Getting up at 0600 hrs, I cycle to the beach at Alleppey. Its about 4 km from where I stay. Its is a pleasant ride. The streets by the canal with shady trees and the occasional vehicle that passes by are a pleasure to ride a bicycle. 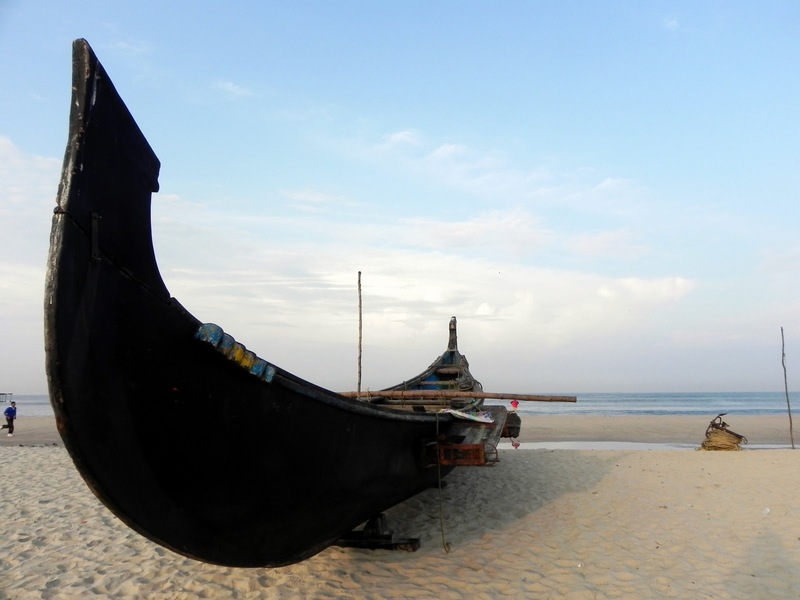 The beach is expansive and open; most beaches are but the Alleppey beach has the look of a dainty, friendly maiden. Nothing pretentious, no touristy shacks - just wide open, clean sand and a sea that seems yet to wake up. 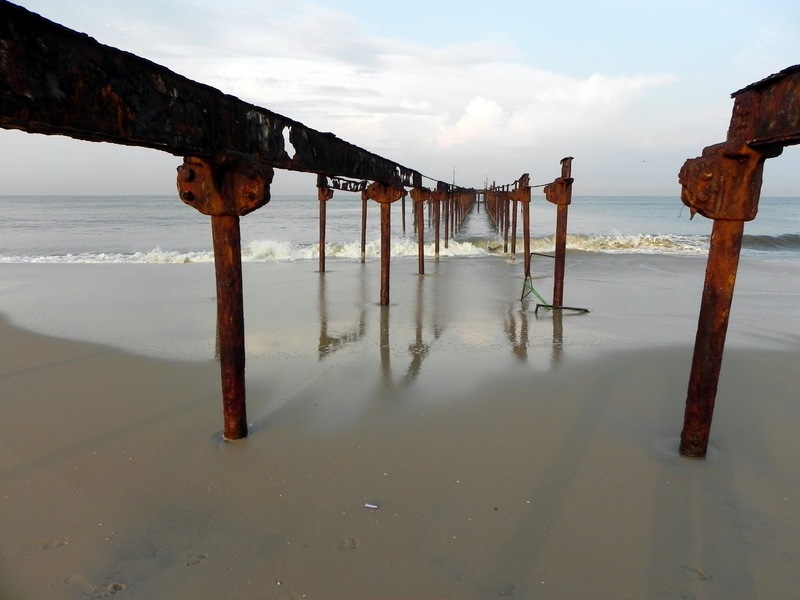 The skeletal remains of an old pier struck out to the sea looks like the desolate remains of a war-torn land. Typical of the west coast beaches, Alleppey beach is clean and friendly; I say friendly because I have strangely felt that the beaches in the east coast of India, hostile. On the roadside, a dog keeps vigil over his master's fish; or he could be waiting for the tidbits. I pause before the anchor of a fishing boat. I look at it and wonder at the worlds it would have been to, the dark depths of the sea, a world I have never seen. I touch it and feel the cold of the seabed and imagine the fish nuzzling by in that silent world of the sea. I have always been in awe of two communities; the fisherfolk and the tribals of the forests. They are the salt of the earth. 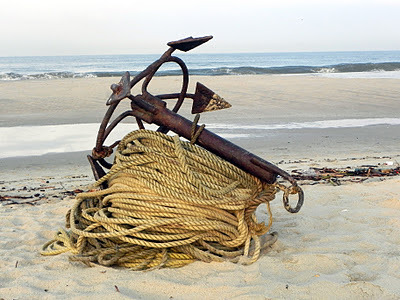 Beside the boat, waits the anchor. This could be a scene from times immemorial; this way of life is eternal - as eternal as life on earth should be. I truly enjoyed the trip with you to Alleppey beach Balan Sir! Thank you! I looked at the name again and can clearly see it is not 'sabdam' as the 2nd and 4th letters are the same. If you can 'teach' me, it will be great! magnum opus ,"Chemeen" was fully shot. 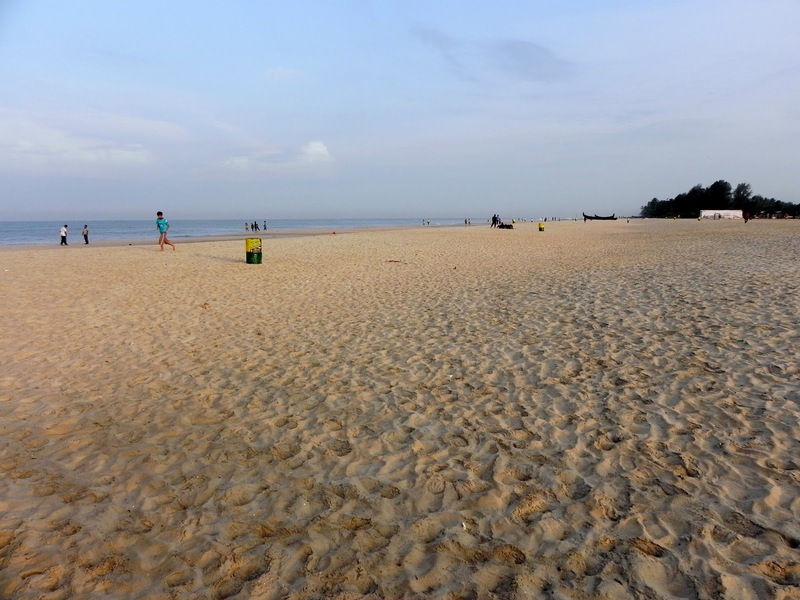 From your photos , I see that this one of those few beaches which still has the white sand and not defiled by pollutants and dirt to turn brown- compare the "Shanghumugham beach" and the ones at Kanya Kumari! Cycling ,wow ! The beach looks beautiful and the best thing is that it is less crowded or may be because it is early morning.The white sand almost looks like ice .Your clicks are wonderful specially no 1 ,2 and the last one . Lovely Clicks. Imagine waking up to see these in the morning! I have never seen such a clean white beach anywhere. I am pleasantly surprised to see the clean white sand. Your pictures are simply simply fantastic. The place oozes magic. I loved the first and the last photos a lot. The beach looks very clean. Kudos to the way it's maintained. The photographs are lovely, especially the first two and the last. And yeah, how fortunate you're to have such a clean beach in the vicinity. 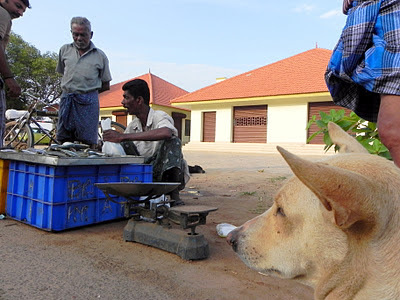 Awesome clicks Balachandran.No matter where you are,an insightful photographer clicks it his way.Cheers ! I agree with you that Alleppey has a beautiful and clean beach..Next to Lakshadweep.I mean in Kerala.I feel perfect with Lakshadweep Beaches;the beaches of Bangaram esp. Alleppey I had a good friend at Mararikulam.That amazing clicks from you made my thoughts travel back to those lovely days..Thanks . Alleppey in Kerala also called Alapuzha is famous for backwaters, so the attraction of the beach is sometimes overshadowed by the backwaters. There are beautiful beach resorts in Alleppey. 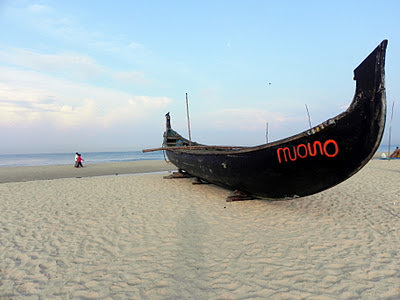 They are situated at the sides of the sea beaches to attract the tourists to the place.